Specify the locale using :EXPORT_HUGO_LOCALE: es_ES property. Locale is not specified, so is auto-detected. Test that :EXPORT_HUGO_PANDOC_CITATIONS: nil disables Pandoc citations in a subtree. Test that :EXPORT_HUGO_PANDOC_CITATIONS: disables Pandoc citations in a subtree. ox-hugo Issue #17 Setting class parameter Discussion Setting alt parameter Reference Setting title parameter Logo Setting image caption The image caption can be set in two ways. Using the Org #+caption keyword Using #+attr_html: :caption my caption The #+caption is available will get the higher precedence. In the below image, caption is set using that: Some text before image. 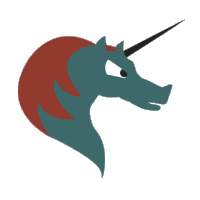 Figure 1: A unicorn! Some text before image. Figure 1: A unicorn! “Something in double quotes” Some more text, after image. This test removes the foo front-matter key from the exported file (and replaces bar key with zoo). Test the #+toc: headlines N local syntax where a TOC is exported containing headlines only up to level-N relative to the headline in which that keyword is used.